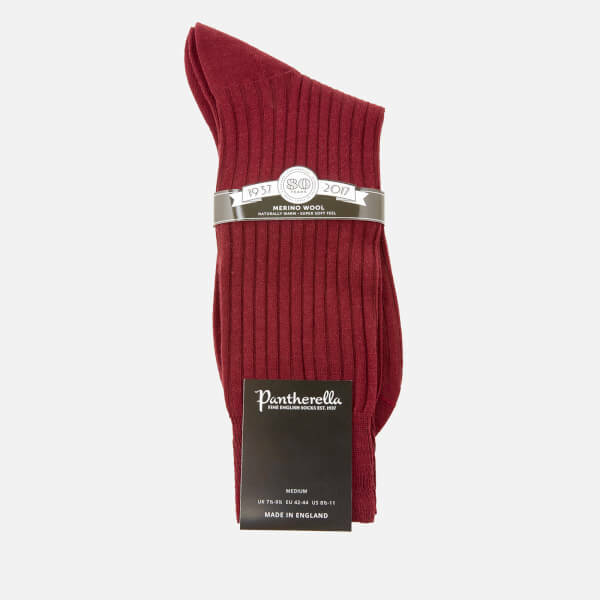 Men's ribbed socks from Pantherella. 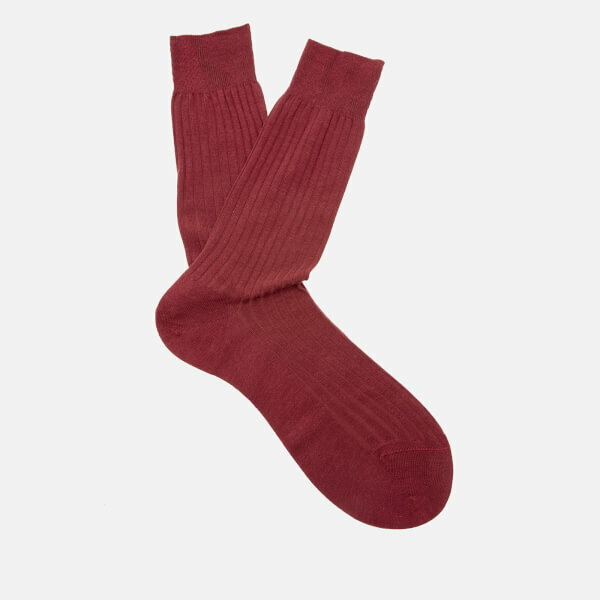 Crafted from a high-quality, extra-fine merino wool blend, the 'Labernum' dress socks offer the perfect balance of softness, durability and moisture-wicking properties. 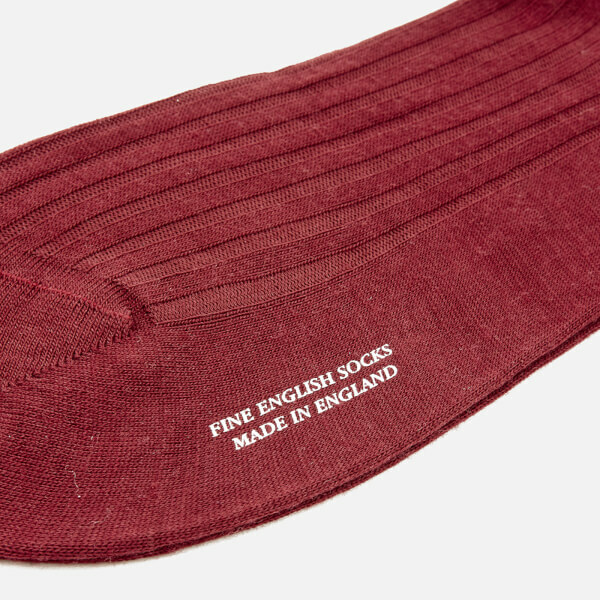 Complete with a ribbed cuff and signature branding at the footbed.